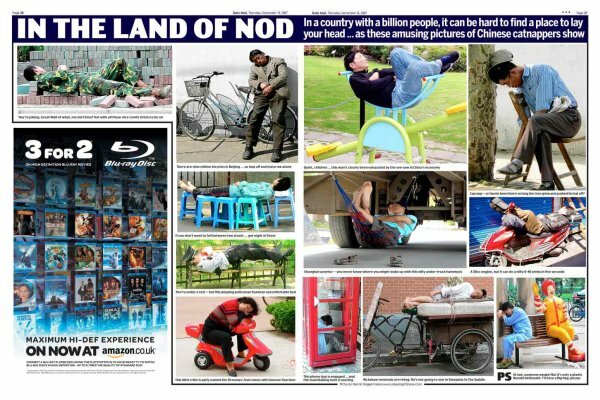 We hear news reports of the rise of China and its sleepless economy, often with sinister undertones supposed to alarm us. The reality can look very different. German photographer Bernd Hagemann has long been fascinated by China and its people. He carries his camera at all times, because on every street corner you can find people napping in the strangest positions and situations, even snoring in deep slumber. Bernd Hagemann comes from Lemgo in Germany. “After my apprenticeship as an industrial clerk, I started to consider the wonderful Lipperland to be a little bit too ‘dozy’,” he says. “I studied economics in Paderborn and worked for four years on the sports desk of the Lippischen Landes-Zeitung newspaper. 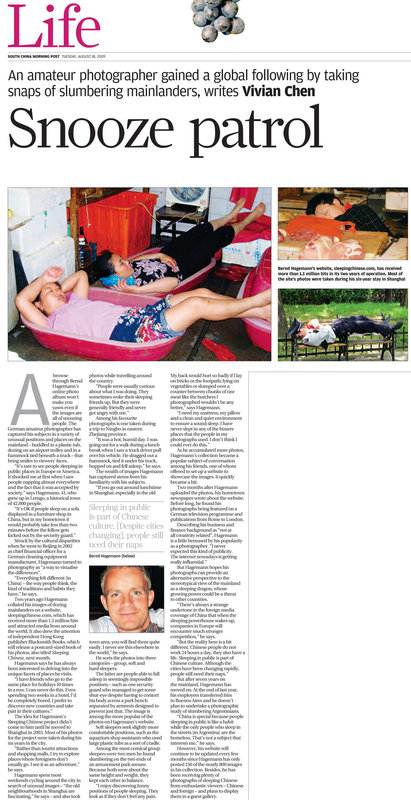 “My company sent me in 2002 to China: first for one year in Beijing and since 2003, in Shanghai, where not only the speed and culture of this boomtown are fascinating, but also the napping and drowsy Chinese.